Thank you to everyone for the phenomenal support we received on marketing the “Fight Club” Yin-Yang table! The table sold for a whopping $4351 which will go a long way in helping us expand and reach out to more animals. 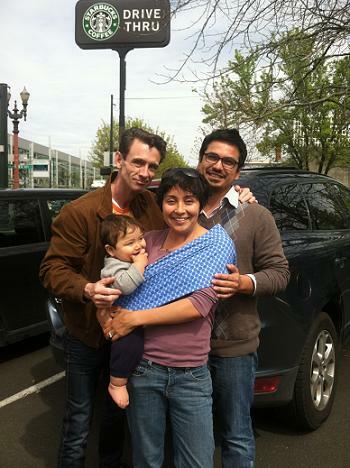 The wonderful Dominguez family, winners of the auction, drove up from California to collect the table and meet Chuck Palahniuk in person.